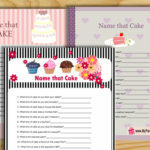 On this page you will find Free Printable Name that Cake Bridal Shower Game in 3 different designs. 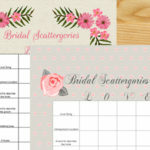 All these designs are beautiful, elegant and unique. 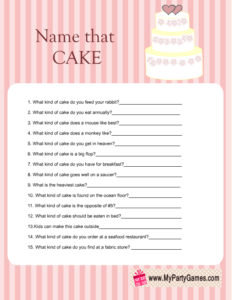 Name that cake is an easy and fun to play quiz game that you can play with your bridal shower or hen’s party guests. 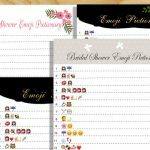 All the free printable game cards that you will find on this page are absolutely free for personal use. I am also writing easy to follow ‘how to play’ instructions below. 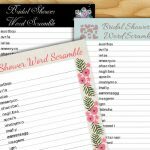 Print any card for this game that I am sharing below and distribute among your bridal shower party guests along with a pen or pencil. 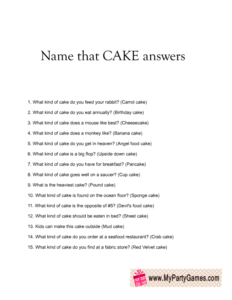 Ask them to write down names of all the cakes within 3 minutes. 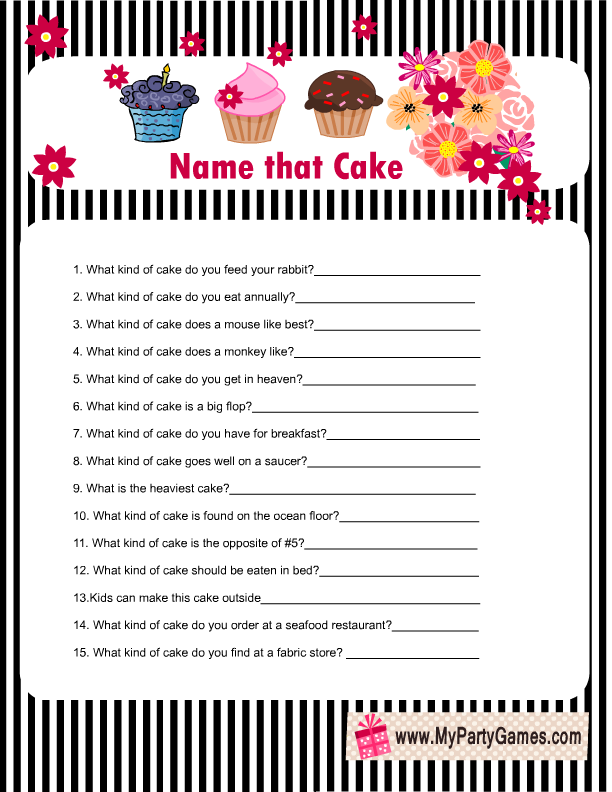 The guest who writes the most correct name within the assigned time will be the winner. 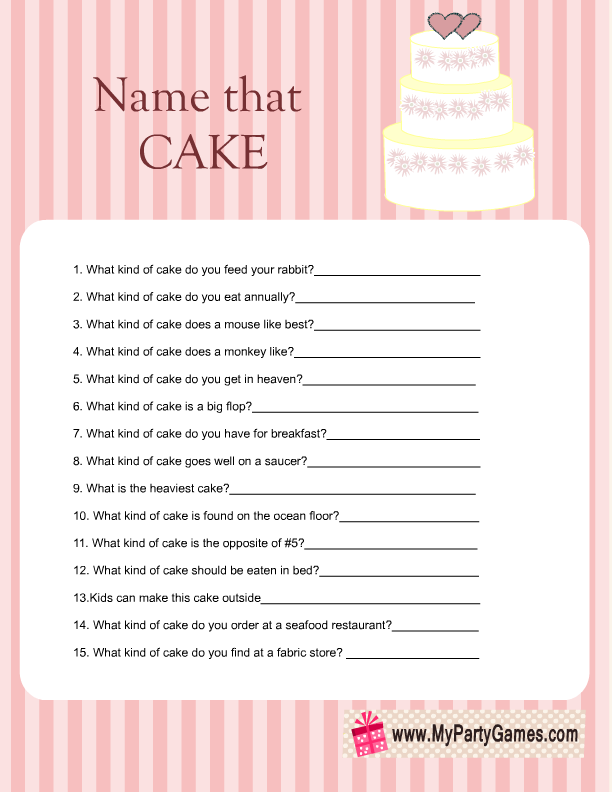 This is a beautiful free printable sheet for this name that cake bridal shower quiz. 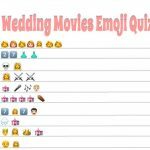 Click on the image of this game that I have shared above and a bigger image will open up. Just right click and save that image. You can easily print this game using your home printer. 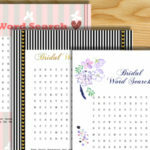 You should print the game cards according to the number of your bridal shower party guests. 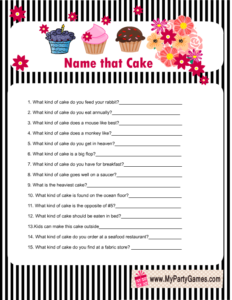 This is another adorable worksheet for this game. 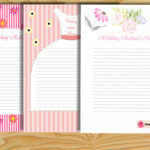 It has pink striped background and a graphic of an adorable wedding cake. 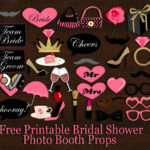 You can download this game card, if it matches the theme of your bridal shower party more. 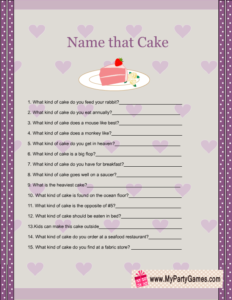 This is another elegant free printable game card for this game. Feel free to download it for personal use, if you like it more. 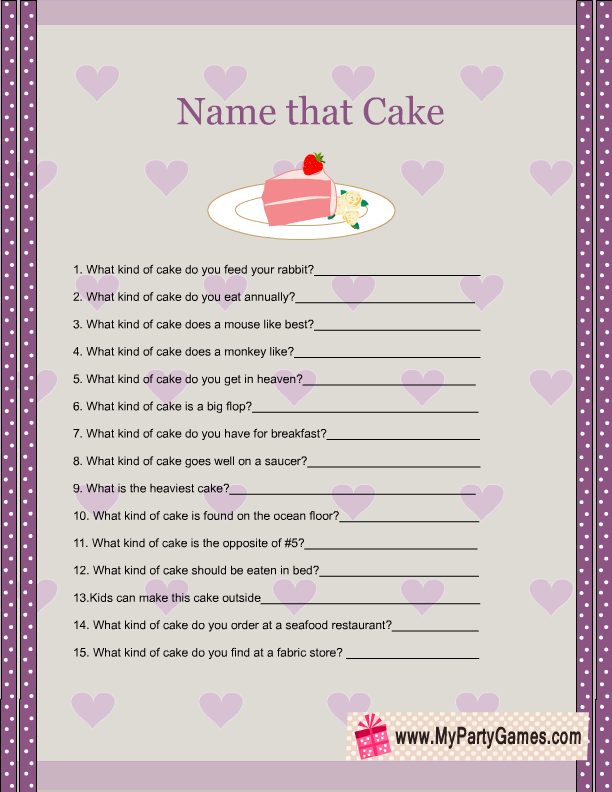 This is the answer sheet for this free printable bridal shower game. 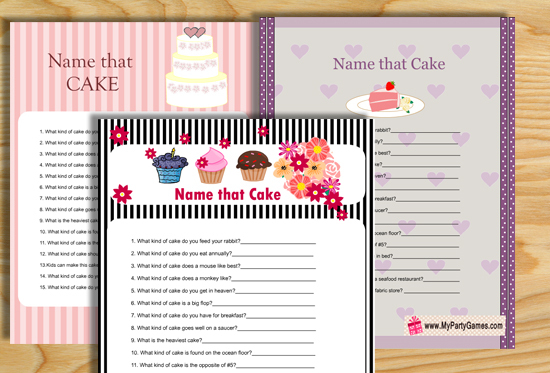 You should print game cards according to the number of guests but you’ll only need to take print out of one answer sheet. 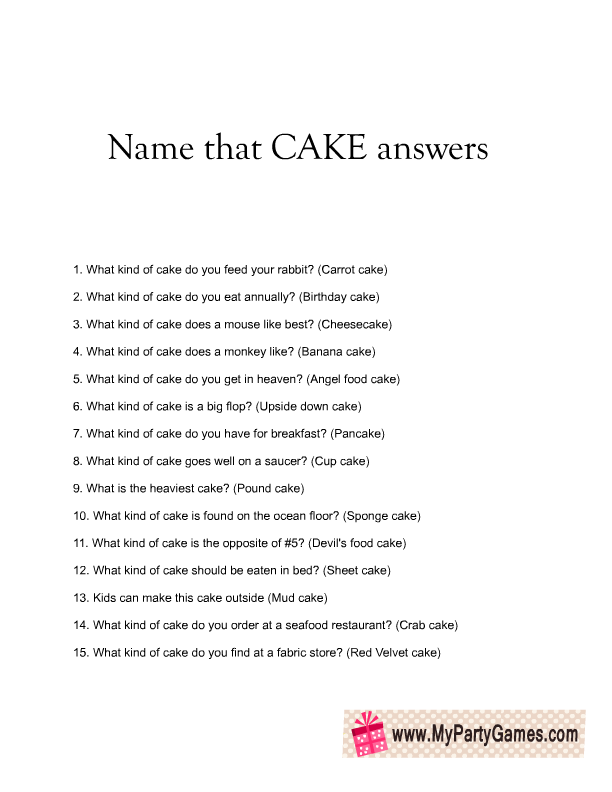 Please leave a comment below and share your suggestions with me.